There were many choices of fresh ingredients for the steamboat and grill but the broth or soup offered were not that good. We put everything onto the plates, foodstuff that we think we like to have for grills and steamboat and that's where the photography session starts. While waiting for the broth to boil , I might as well take a few shots of the food we had for the steamboat and grill. Their marinated meat, both chicken and beef were flavorful and the grills turned out finger licking good. Have a look at these steamboat ingredients...nothing special except for their marinated meat. 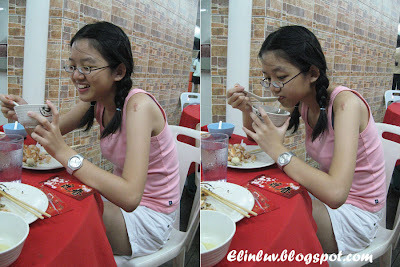 Okay...finished with the food...let's enjoy these candid shots of Piggy gal....lol! she will kill me when she see these posted up but one thing is for sure...she absolutely enjoyed the steamboat and grill. We ate leisurely and really enjoyed eating and chatting. Never put these momsie and daughter together...they eat and talk with their mouth full lol! But we do really enjoyed ourselves. Daddy busy grilling the food for us...hohoho lucky us! after all the sweetness from the meat and seafood all infused into the soup! youare such a loving momsie Elin...ur daughter is so cute ! hehhe...such an interesting cute post.. lazy momzie, smart girlie.. So nice food you had! Yup the weather is hot but who can resist these yummy food?! I can't! haha! Congratulations to your daughter for her great achievement. 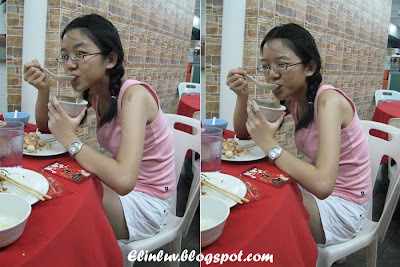 I love steamboat too, RM 22 per head, not cheap ler..
Congrats on your girl's success! Wow, isn't it hot there? This place seems very 'laku'. Hi Zurin...thanks my head is swelling adi lol! 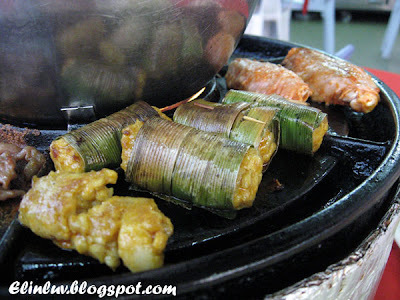 My Close Brush With Mango Glutinous Rice Rolls !